You may recall that a few months ago that I had reviewed a line of home fragrance called Pink Zebra Soaks. 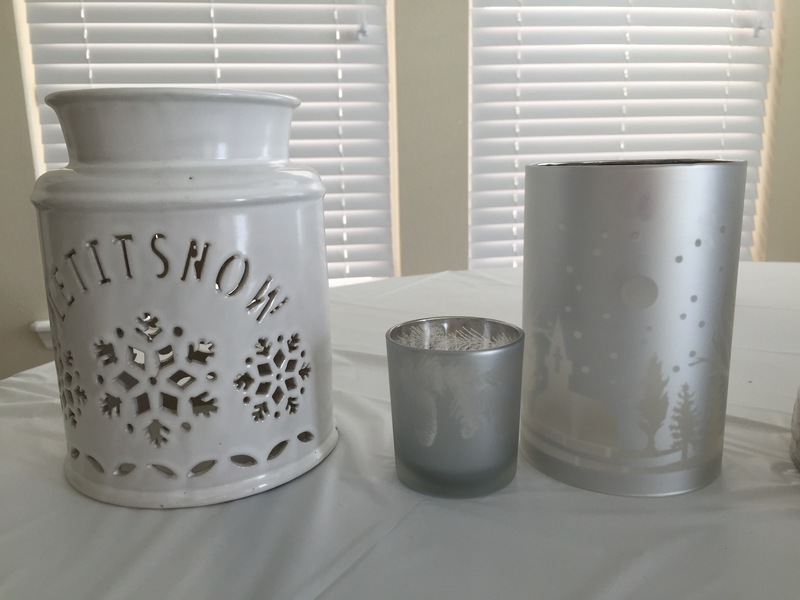 I absolutely fell in love with Soaks and the company, so I decided to review their candle line. 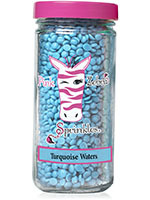 Let me introduce you to the world of Pink Zebra Sprinkles!! So, what is a “Pink Zebra Sprinkle” you may ask? 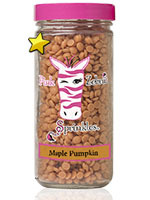 The Pink Zebra Sprinkles are a soy-based wax made up into tiny sprinkles. They can be used in many different ways and combinations to bring fragrance to your home. These sprinkles are completely non toxic, so if your pet or young child ends up ingesting them, they will be perfectly fine! They are available in 3.75 oz jars or 16 oz cartons. Sprinkles are available in many scents! From floral to baked goods, you will find a perfect scent for your home. Each jar is $8 and each carton is $25. 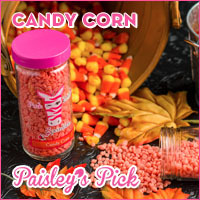 Pink Zebra also offers a scent of the month called “Paisley’s Pick.” The month of September is Candy Corn!! You can also create you own custom fragrance. That is one of the best things about Pink Zebra in my opinion. I love to mix sprinkles and see what scents I can come up with! Now, what can you do with these Sprinkles? Well, many things! First, let me talk to you about the Simmering Lights. The first part to the Simmering light is the base. 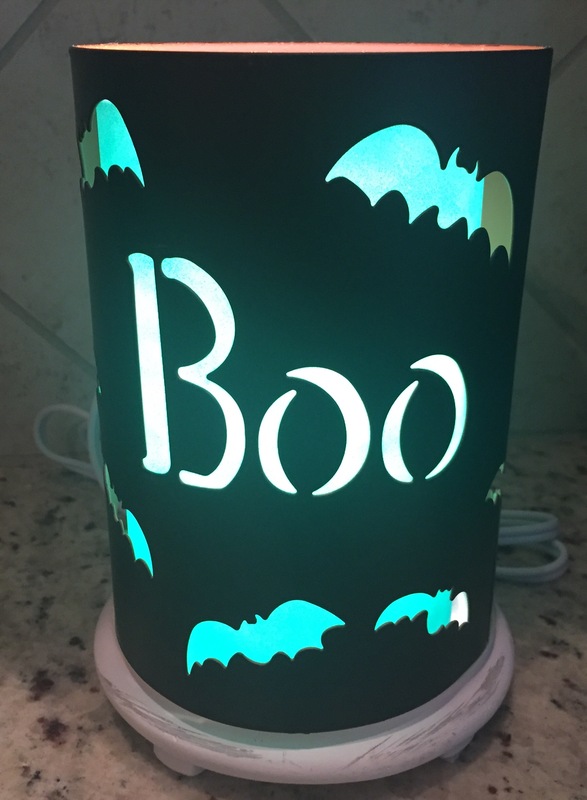 The base comes in 2 colors to choose from (black or antique white) and it comes with a light bulb. 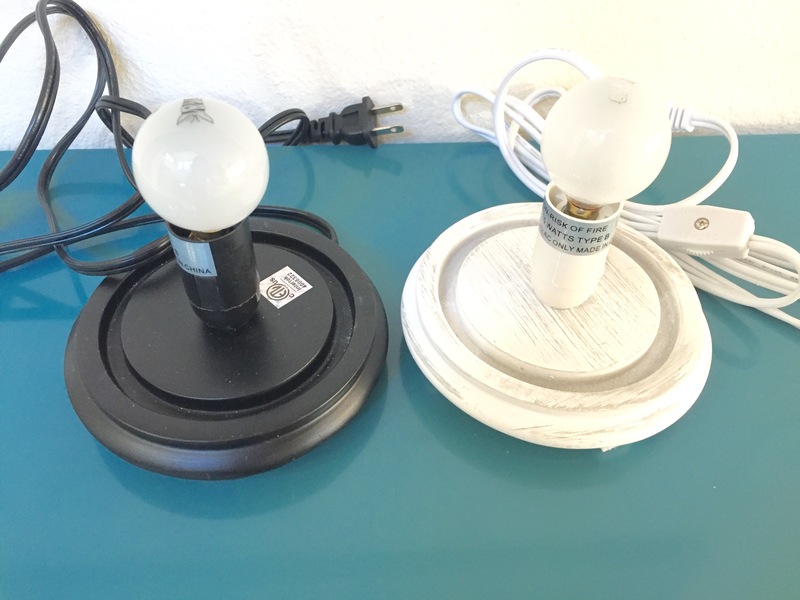 Each set comes with a base, liner and bulb for $25. Additional bulbs may be purchased for $4 each. Once you pick which color you prefer you move on to the liner. The liner goes over the light bulb and included a glass dish to hold the sprinkles. The liner comes in a variety of colors. The colors are: Frosted Indigo, Frosted Bright Turquoise, Frosted Candleglow, Frosted Brown, Frosted Orange and Frosted White. A new liner that recently came out is Gold Mercury, which is gorgeous and my personal favorite! The beauty about Pink Zebra Sprinkles is you can use as much or as little of them as you want. I usually use a cap full to scent my big open area downstairs in my home. 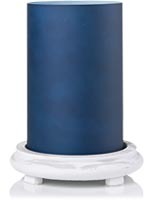 In the jars, there are 12 cap fulls per jar and each cap full lasts about 25-35 hours when burning. 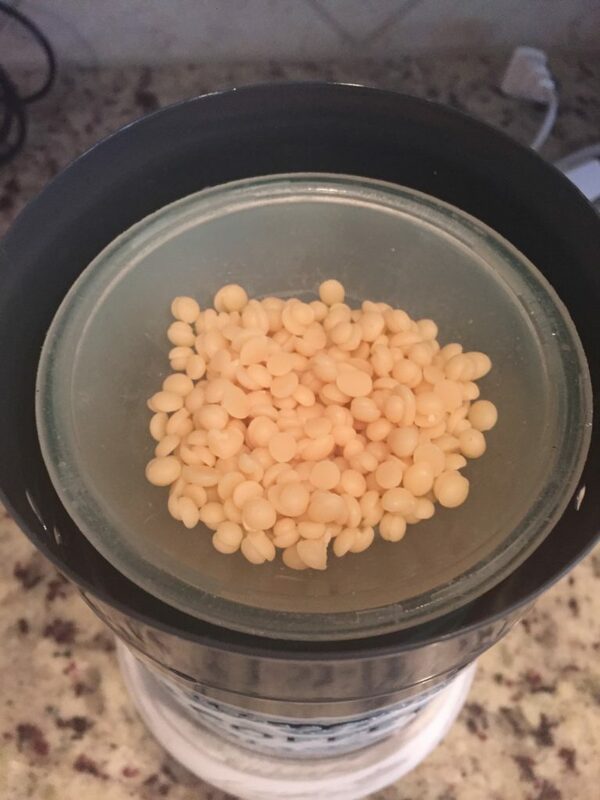 One cool trick that Laurie told me about is when I am done with one scent and would like to burn another in the same dish, just pop that dish in the freezer for 10 min and the wax will easily slide right out! Then I just wait for the dish to get to room temperature and put new scented sprinkles in. So easy!! So if you want to stay simple I would recommend a Simmer pot. 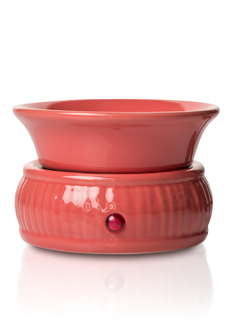 Pink Zebra offers many different colors and looks of the Simmer pots. 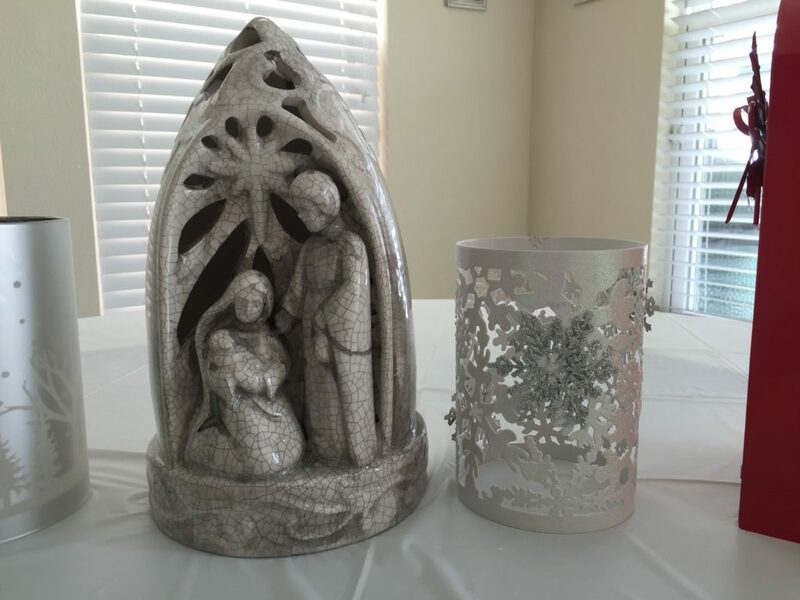 Each Simmer pot is priced at either $25 or $32. Ok, now you have your sprinkles, simmering light and liner… Lets finish it off with a beautiful shade! Pink Zebra offers so many beautiful and unique shades. 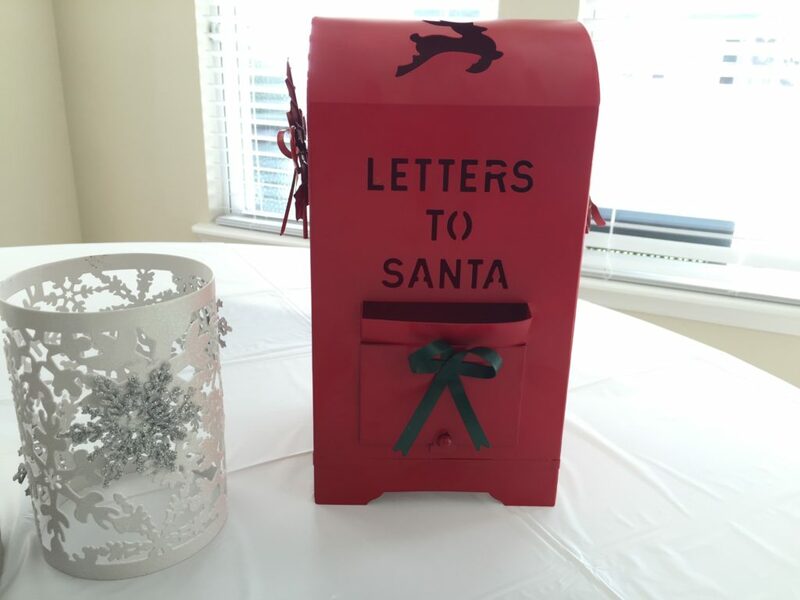 During the holidays they will have themed ones (Halloween, Christmas etc..) that are so fun to have around the house. I want to show you some of my personal favs! 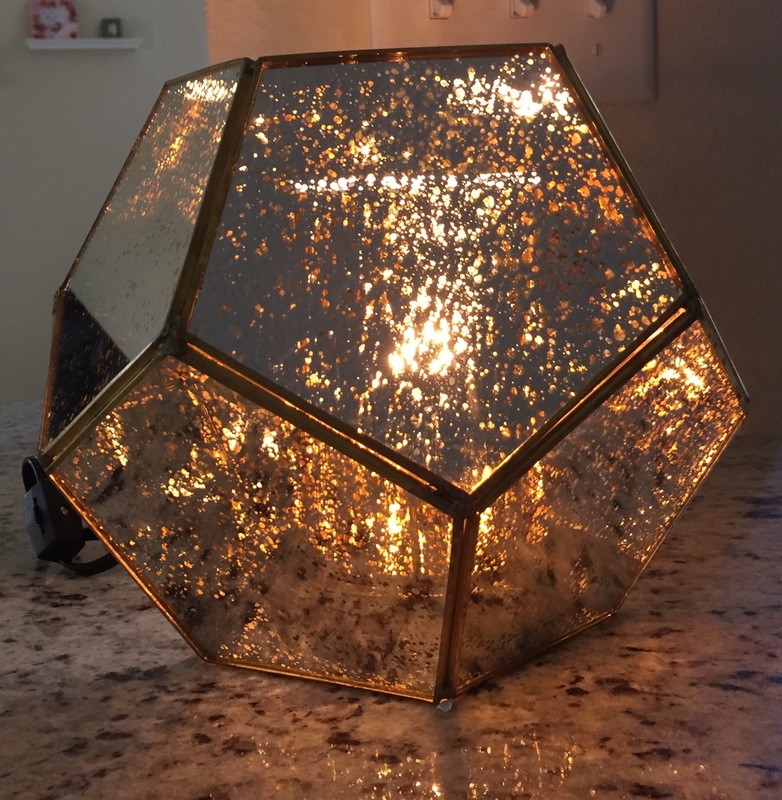 Reflecting a mid-century modern vibe, there’s just something special about this brass framed, multi-faceted terrarium. the thin metal edging sets off silver mercury paneling, fix your gaze on this little world of warmth and light. 9” d x 7. This shade I own and it is my personal favorite. The picture in the catalog does not do it justice! I love to change out the liners because each one gives it a different look! I have it on my granite counter in my kitchen and it looks fabulous! The price is $60. What I love about Boo Bats shade is you can change the look of it depending on which liner you choose. Below, I have the Gold Mercury liner and also the Turquoise liner. You can see how cool each one looks! Here are some other festive shades for the upcoming holiday season!! All of the shades in these pictures are available to purchase! Please contact Laurie Leal for more details and/or to order!! If you would rather light a wick and not have to plug anything in, you can do that with Pink Zebra! 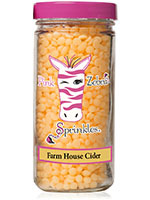 Pink Zebra offers many beautiful glimmer glass for your choice scent of sprinkles or your custom sprinkle creation! Below are some of the beauties you can purchase! There are more online to choose from. They all come with wicks, and more wicks are available to purchase! As you can see, Pink Zebra offers so many different ways to make your home smell wonderful. 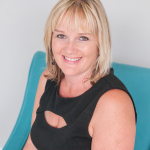 I was so happy that Laurie introduced me to Pink Zebra, I just love their products and know you will too! If you would like a free sample of Sprinkles, please send Laurie a message and she will send you a sample and a catalog! 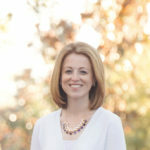 You can view all of the products offered at www.laurieleal.com. Laurie is providing a Simmer Light and a jar of sprinkles to one lucky winner! 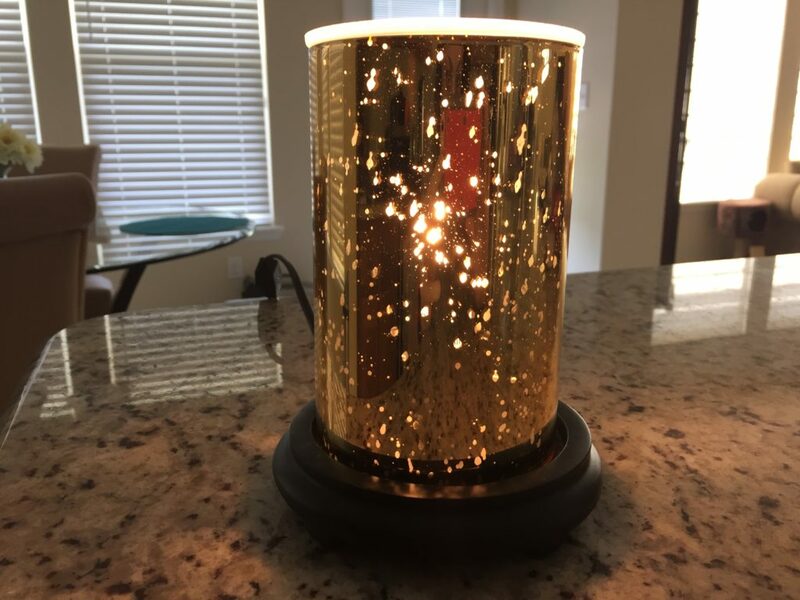 The Simmer Light will come with a black base and a gold mercury liner. Jar of sprinkles will be scent choice that the winner picks. Giveaway ends 10/10. US Only. *I received a Simmer Light and Jar of Sprinkles in exchange for this review. All opinions are my own. Yes, I have tried Pink Zebra. The fragrance scents last a long time and they are great to mix together to make your own scent. The only think i have tried from Pink Zebra was the Orange dreamsicle sprinkles. I used them in a warmer that i already had at the time. No, I have not tried Pink Zebra before but I would love to! I have not tried Pin Zebra yet. I have never tried Pibk Zebra. honestly, I never even heard of them until I just read your post. The scents sound really good. I have not tried Pink Zebra but would love to. I’ve heard of Pink Zebra but haven’t tried their products yet. Thanks. I have not tried it before but I know what it is. I have smelled a few scents and really liked it. I have not tried Pink Zebra yet. No, I haven’t tried Pink Zebra. This is my first time hearing of them, but I am intrigued by this! I love this idea! It’s in reality a nice and useful piece of info. I’m satisfied that you simply shared this useful information with us. no i have not tried pink zebra yet! their warmers are absolutely beautiful though! a lot of detail and creativity! I absolutely adore Pink Zebra because the scent lights up the entire room. I didn’t know about the simmer pots, I gotta try those. I haven’t tried Pink Zebra before but I have been told that it is incredible. Pink Zebra sounds great! I love filling my home with fragrance. It makes everything so much nicer. I love wax melts, they make the house smell so nice. I haven’t tried the Pink Zebra brand yet though. I have never tried them, but have heard about them. I would love to try Pink Zebra! I’m always looking for fragrances to fill my house. I have never heard of sprinkles like this. What a fantastic idea! I would love to give these a try! I have seen Pink Zebra mentioned here and there but I have no personal experience with them. Love their logo, so cute and it sounds like a great product. I’ve never tried pink zebra. I haven’t heard of this before, but I love their name! I bet they really make the house small lovely! I have never heard of them! But I love new smell good things so I will try them! I haven’t tried any from Pink Zebra but I thin this is worth a try! Amazing that they have a lot of products and scents you can choose from! So cool! Those sound so neat. I love having my home smelling yummy, and the offerings from Pink Zebra sound like something I need to try. I love Pink Zebra! Unfortunately, I can’t afford to keep up with as much as I use it haha It’s a special occasion kind of thing for me! Oh, I want to try it! I love the name and sounds like a nice scent for my home! 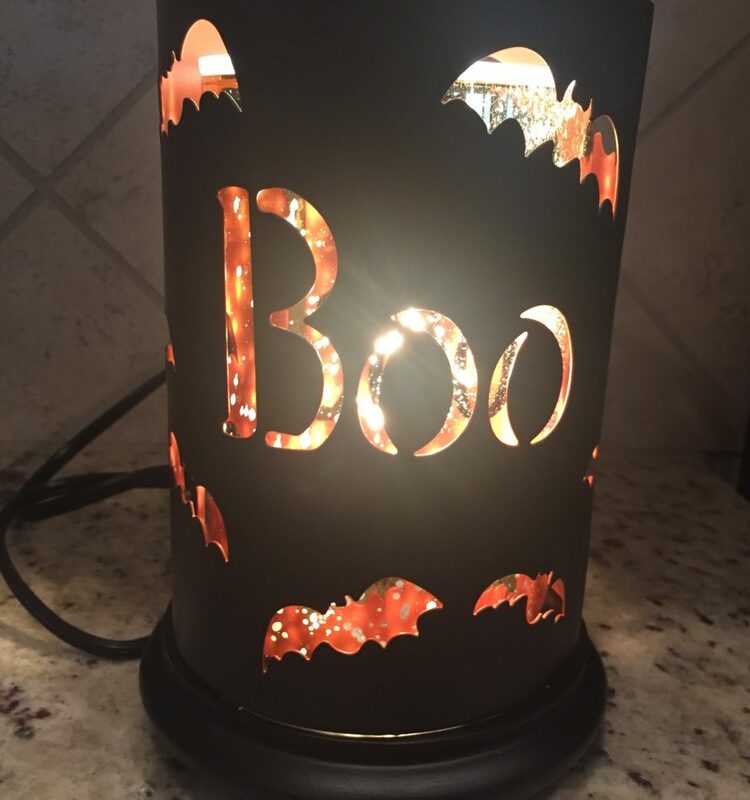 I like that Boo Bats Metal shade, looks so perfect for Halloween celebration. This Pink Zebra sounds new to me but very interesting. 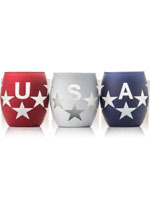 I like the USA containers. Will check out Pink Zebra! Well I’d buy them just for the jars. How very cute! I have tried pink zebra and i loved it! have you saved to fav to see new things on your site.